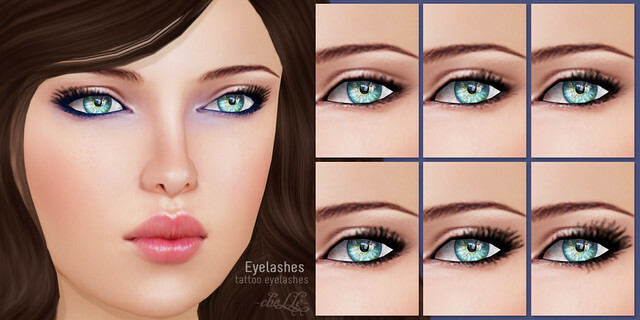 ✿ cheLLe ✿ has 4 new Moon Dust I-IV shadows sets, and a tattoo Eyelashes set out at the fair! Here is a direct SLurl to cheLLe! Don’t forget to add your pictures to the Cosmetic Fair Flickr Group! 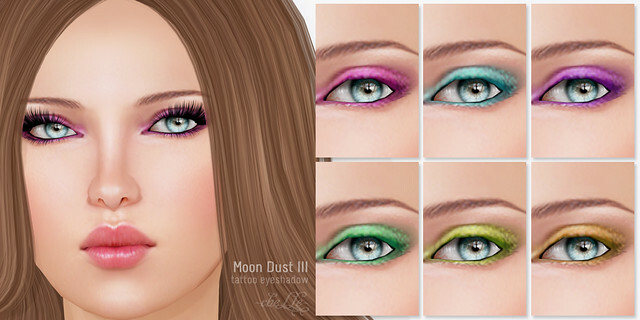 Wear these shadows with your favorite skin, or mix-and-match ANY two Moon Dust eyeshadows to create a new color!